You’ve likely heard that Endometriosis can grow in all sorts of places inside the body. Well, the bladder and urinary tract are no exception. Endometriosis implants can grow on or inside the walls of the bladder or along the urethra. Common symptoms women may complain about with bladder Endo are frequently needing to pee, pain when the bladder is full, painful urination, and an urgent need to pee. Some women also suffer from blood in their urine when they’re on their cycles (may be hard to distinguish…given the natural course of what a period does…). This urine-blood may not be perceptible to the naked eye and require a lab test. And as usual, many women only have these symptoms during their periods; others have them 24/7. It should also be noted that many women with bladder Endo don’t present any symptoms. Some women may have Endo growths on their urethra and/or ureter, which may compress or block some or all of the urethra/ureter. This blockage can back urine up into the kidneys, causing damage and pain. It may also make it difficult to fully empty the bladder when peeing. Your physician may perform a vaginal exam and feel for nodules or to see if you suffer from any tenderness or pain to his/her touch. A urine analysis may be ordered. This lab work may help rule out other causes of symptoms, including bladder infections or other bacterial infections. Transvaginal ultrasounds may be performed. In some cases, a CT or MRI scan may help diagnosis infiltrating Endo; however, it may not always be seen in these imaging studies. Do understand that imaging studies are not always reliable or accurate when trying to identify and locate Endometriosis. If the Endo is actually inside the walls of your bladder, a cystoscopy may be performed. That’s when a tiny camera is maneuvered into your bladder to visualize any implants. If any are seen, samples of your bladder tissue may be taken for biopsy. If Endo is only on the exterior of the bladder, it might only be detected by performing abdominal surgery, whether it be laparoscopy or laparotomy. If Endo is located on or near the ureter, your surgeon may remove the lesions from the affected areas. Many patients have had successful results treating their bladder Endo with hormonal treatments and pain killers. If those do not work, you know the drill : surgery to remove the implants. If the bladder wall has been infiltrated with Endo implants, a portion of the bladder wall may need to be removed. If you suffer from these symptoms, you may not have Endo on/in your urinary tract or bladder; however, may be suffering from some other ailment. Interstitial cystitis mirrors the symptoms of Endo on the bladder. And it is possible you suffer from both IC and Endo. Cystoscopies are also important procedures to help rule out bladder cancer. A 2007 study published in the Journal of the Society of Laparoendoscopic Surgeons compared the symptoms of bladder Endometriosis with the similar symptoms of interstitial cystitis. It also confirmed that one patient may suffer from both conditions. It concludes that if a patient complains of persistent pelvic pain, even after surgery or medication for Endometriosis, the physician should look into testing for IC. It may be that there are unresolved Endo implants on/in the bladder, or that the patient suffers from IC, or both. Just one more thing to be mindful of. A 2008 study published in the Journal of the Society of Laparoendoscopic Surgeons stated that 1% of women with Endometriosis suffer from bladder Endo. Six women were studied. Of those six, all received transvaginal ultrasounds and two received cystoscopies. All underwent laparoscopic surgeries; two had to have their bladders resected (a portion of the wall removed); five of the women had Endo implants removed. All reported relief of symptoms after surgery. A 2010 study published in Human Reproduction followed 75 patients for five years after their Endo excision surgeries from their bladders. All 75 women stated they did not have recurrent symptoms after surgery. None suffered from their pre-operative symptoms. None! A 2012 study published in Urologia Internationalis, which reviewed literature from 1996 to 2011 regarding endometriosis on the bladder and urinary tract. After review of the literature, it stated that 0.3% – 12% of women with Endo have bladder or urinary tract Endometriosis. It concluded that collaborations between gynecologists and urologists are highly advisable in diagnosing and treating bladder Endo. A study published in 2016 reviewed the records of 53 women who underwent surgery for urinary tract Endometriosis. A stunning 72% of the women were positive for Endometriosis on their bladders! A January 2017 article in European Urology stated that women who have bladder endometriosis need multidiscplinary care: urologists, radiologists, and gynecologists all need to work together. 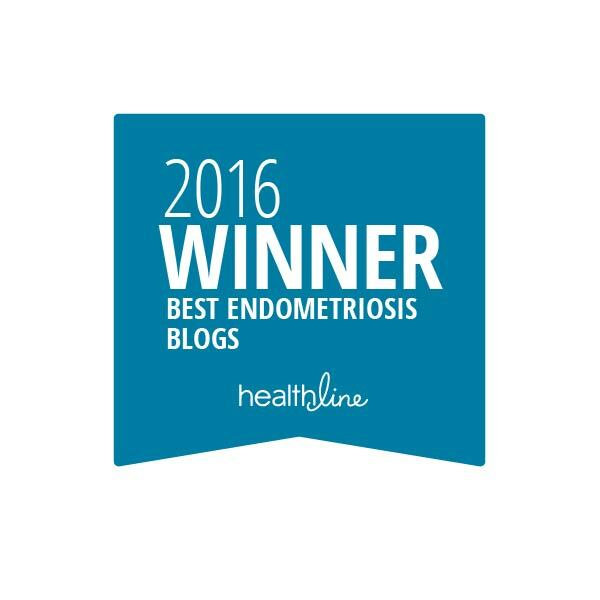 And if you’re looking for photos of what Endometriosis looks line on the bladder, click the article link here. The International Surgery Journal published an article in January 2017 of ureteric obstruction. A patient had a ureteric colic (aka a urinary tract obstruction) for the past month, which increased in severity and radiated from her left loin to groin. Imaging studies suggested the obstruction was a calcification, or what’s known as a ureteric stone. Surgery was performed: the hard mass was found within her left ureter, as well as adhesions to peritoneum, left fallopian tube and ovary, left iliac vein, and sigmoid colon. The surgeons removed her fallopian tube and ovary, removed the lower portion of her left ureter, and performed what’s called a psoas hitch procedure (where the bladder is slightly moved and attached to the psoas muscle) to make up for the lack of the lower ureter. The removed ureter mass was biopsied and confirmed to be Endometriosis. The authors suggest that women that suffer from cyclical flank pain (during their cycle), pain while urinating, urgency to urinate, have frequent UTIs, or have an elevated levels of red blood cells in the urine should speak with their doctors. A urologist may need to be involved, as well as CT scans, intravenous urograms, and MRIs may aid in the detection of any obstruction. A ureteroscopy and biopsy may better confirm the suspicions. A February 2017 study followed the case of a 22-year-old woman who had been complaining of frequent urinary tract infections and pain. She had an ultrasound and two cystoscopies, and a mass was found within her bladder. An MRI confirmed the mass was 3×4 cm and a biopsy confirmed Endometriosis. She underwent surgery (both laparoscopic and transurethral) to remove the lesions, as well as resect a section of her bladder, as it was stuck to her uterus. At her six-week post-op appointment, she was symptom free. A study published March 2017 reviewed over 300 cases of ureteral Endometriosis. You can read that study here. Another study published in January 2017 states that ureteral endometriosis should be suspected in all cases of deep infiltrating Endometriosis. In July 2017, a study was published about 46 women who had excess fluid in their kidneys due to a backup of urine (ranging from 2002 to 2015). Each of them had Endometriosis on their ureters, and each received excision surgery to remove the lesions. Most were satisfied with the outcome of surgery a year later. Interestingly, 9 patients also had bowel Endometriosis, and another 5 had bladder Endometriosis. The authors encourage the use of imaging studies to follow any recurrence of Endometriosis or affects on the ureter and/or renal system. A 2018 study was of a 33-year-old woman who complained of blood in her urine, nausea, vomiting, diarrhea, and groin pain since late 2017. Physical examination found tenderness in her left lower back and her bloodwork was normal. She underwent CT scans and MRIs of her left kidney and her left ureter was found to be dilated, but no stones or obstructions were seen. A ureteroscopy was performed and a “suspicious tumor formation” was found in her left ureter. 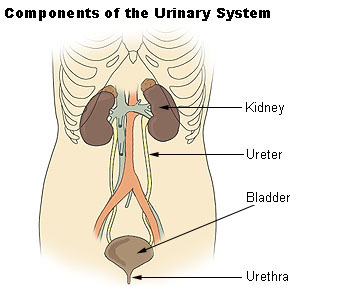 A biopsy was taken (yep: Endometriosis) and a stent was placed to aid in ureter function. Surgery was recommended and the narrowed portion of her ureter was removed and described as “fibrotic and stiff.” Biopsy confirmed the presence of ureteral endometriosis and the stent was removed four weeks after surgery and everything appeared normal. A 2019 study was of a 26-year-old woman who had intermittent and recurrent lower left quadrant pain. She had been treated for tuberculosis previously, but imaging studies showed a blockage to her left kidney and they once more suspected tuberculosis ureteric stricture was the culprit. Surgery was performed to free the blockage and a biopsy was performed on the bit of removed ureter: endometriosis had developed inside of her left ureter and blocked the proper flow of waste, leading to a swollen and back-up left kidney. After surgery she was given oral medroxy progesterone and six months later, she was doing well. If you are having these or similar symptoms, talk to your doctor. A little conversation can go a long way. And, yes, you may have to endure yet another transvaginal ultrasound, a pelvic exam, or other diagnostic tests…but peace of mind is a glorious thing. US National Library of Medicine – (Study, 2007) Patients with Chronic Pelvic Pain : Endometriosis or Interstitial Cystitis/Painful Bladder Syndrome?